A conversation about access and inclusion facilitated by Brian Goldfarb (Associate Professor, UC San Diego Communication), Suzanne Stolz (University of San Diego), and Louise Hickman (PhD Candidate, UC San Diego Communication). Understandings of disability and access are cast in relation to the built and social environment, and the terrains and atmospheres that convey disablement are mutable. We witness this as networked culture recasts capacities and disparities through redistributions of space and time, connection and vulnerability. Moving critical disability studies and activism forward entails attending to ways that disablement is enacted and reproduced in emergent environments that confound previous terms of sociality: intimacy and distance, inclusion and marginalization, security and vulnerability, autonomy and interdependence, public and private, lay and expert, etc. As such, pedagogies attentive to the complex, often divergent, effects produced in the weave of online and offline social life are needed for rethinking how (dis)ability is learned and ways we can unlearn ableism. We will also celebrate the Access exhibit which includes projects by seven groups of students that participated in an undergraduate seminar in the Communication Department. Our aim was to further the discussion of access among the UCSD community by exploring physical, cultural, economic and other limits to participation. Together these projects ask: How accessible is UCSD? 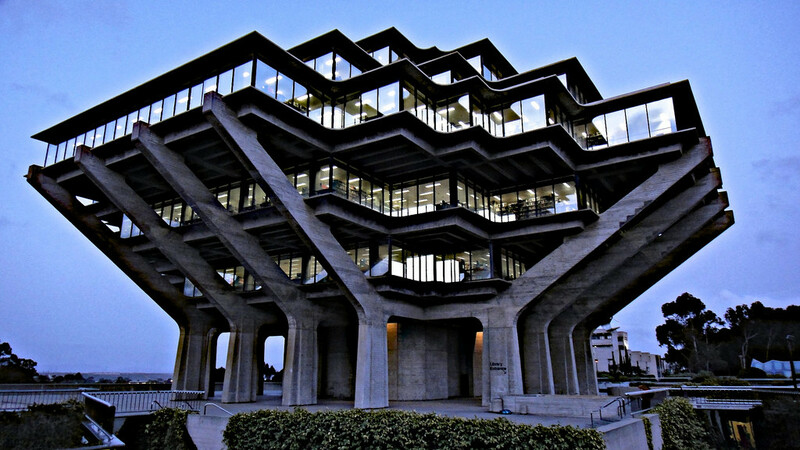 How accessible is Geisel? The exhibit is located in Geisel Library, 2nd (main) floor, East and West wings. Brian Goldfarb is professor in the UC San Diego Department of Communication. His research and media production focuses on contemporary visual and digital culture, disability studies and education. His book, Visual Pedagogy: Media Cultures in and beyond the Classroom, considers how media technologies were used in the second half of the 20th century to advance models of pedagogy across the arts, education, and postcolonial politics in the United States and globally. His current projects include Global Tourette, a digital documentary and media exchange project that engages cultural and professional responses to Tourette Syndrome in the US, Argentina and other contexts internationally. He was also curator of education at the New Museum of Contemporary Art in NYC from 1994 – 1997 where he organized exhibitions and directed the education program. His media and art projects have been exhibited nationally and internationally. Suzanne Stolz, Ed.D. serves at the University of San Diego as Academic Coordinator of the Online M.Ed. and as faculty for the program’s Universal Design for Learning and Inclusive Education specialization. A former high school English teacher and school administrator, she is passionate about working with teachers to better understand the nuances of disability experience and create inclusive school communities. She is currently working on a manuscript titled, Disability Trajectories, that draws on her experiences as a disabled woman leading mentoring programs for disabled young people and conducting trainings for school districts on What Graduates with IEPs Wish Their Educators Addressed. Louise Hickman is a Ph.D. candidate in Communication at the University of California, San Diego. She completed her Bachelors degree with honors in American Studies at King’s College London, and the University of California, Berkeley. During her year at Berkeley, she served as Vice-President of the Disabled Student’s Union. Louise has served as an access consultant for Catalyst: Feminism, Theory and Technoscience, a peer-reviewed, open-source journal, advocating for a platform where access will remain an on-going, reflexive and collaborative project in digital and disability design. Her dissertation, titled Creating Accessible Infrastructure: Disability, Technology and Transcription, considers how persons with sensory disabilities access transcription, made possible through assistive technologies. Following this premise, her work has also included the installation of The Totem Project, which was shown as part of the exhibition “Senses of Care” in Calit2 (California Institute for Telecommunications and Information Technology’s Gallery Space) in Spring 2014.